One of the island’s glamour spots, Puerto Portals is the place to see and be seen and, during the summer, you’re more than likely to catch a glimpse of a few famous faces. 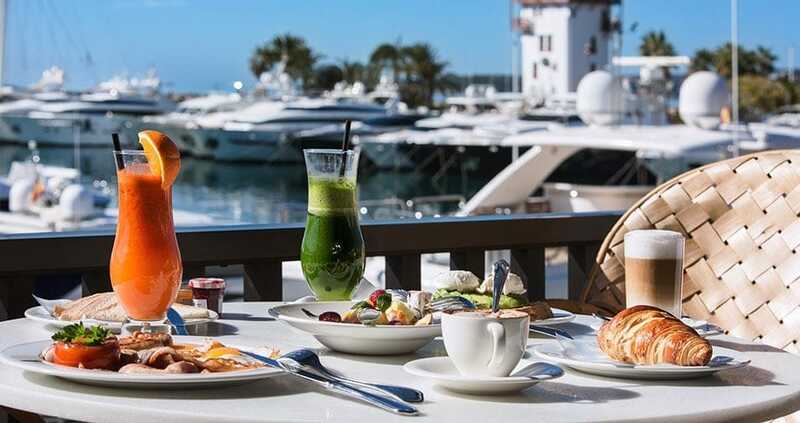 Paris Hilton, Brad Pitt, Jim Carrey, Jenson Button and Bill Gates are among the famous people who have been seen at Puerto Portals – it is often compared with Puerto Banus in Marbella. 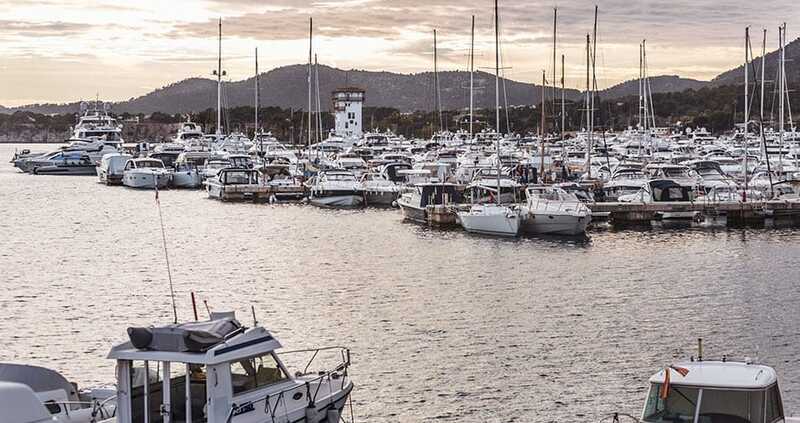 The marina has more than 600 berths and is where members of the jet-set like to moor their gleaming boats. And it’s easy to see why. Just a few minutes after stepping onto the quayside, there are many designer boutiques, impressive offices housing prime real estate and yacht agents, plus numerous places to enjoy a drink or something to eat, while watching the world go by. Puerto Portals in Mallorca has more than 30 years of history. Here boat owners rub shoulders with models, celebrities, business magnates and sight-seers. If you like to dress-up, splash out, people watch, or just hang out and look cool, this is the place for you. Puerto Portals really comes to life at night and is a hugely popular for partying and dining – and not just for boat owners. Puerto Portals is well-known for designer shopping. It is not the kind of place to hunt for bargains, but if you are looking for latest collections from hot brands you can find clothes, shoes, jewellery and accessories all in one place. There are also many support services for the boating community. The popular department store El Corte Ingles has a small food store in the back streets. The main attraction of Puerto Portals is the secure moorings and expert nautical support services for yachters. There are also exclusive shops, a small beach, and lively bars and restaurants. This might sound a little strange, but many visitors go to Puerto Portals just to watch the passing parade. People-watching is definitely one of the main attractions. The Marineland attraction is between Puerto Portals and Costa d’en Blanes. 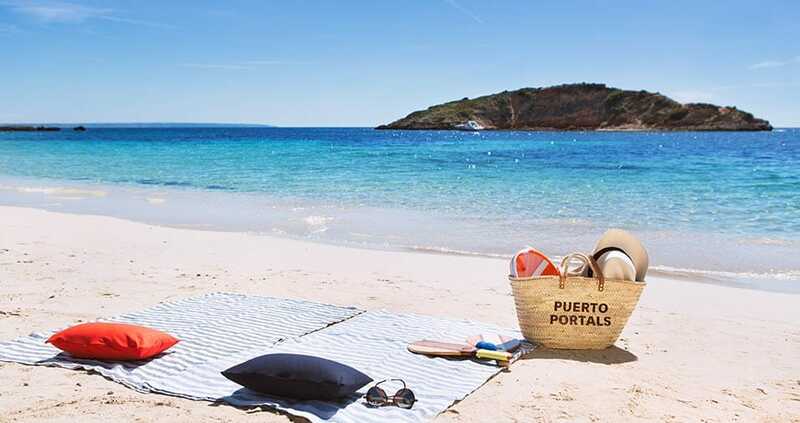 For a beach day, head to Cala Portals Nous, a small protected sandy cove. Popular with the local Mallorcan residents, it has sunshades and loungers to rent, and showers. 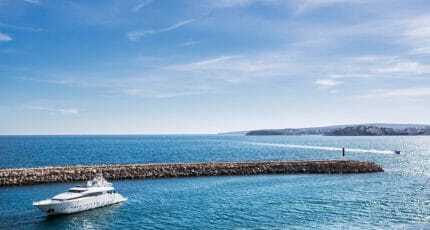 To take in Puerto Portals from the sea and soak up the sun why not charter a boat from Mallorca Charter Point and drop anchor to swim up to Roxy’s. If you don’t have a boat but plan to spend a day at the port you could head for one of the nearby beach bars or clubs such as Roxy’s, Moods or S’Esponja Café for food, drinks, swimming or yoga. Why not just enjoy a quiet stroll around and choose from the awesome range of bars and restaurant or just have a relaxed time shopping? If you want luxurious dining, dress to impress and head for a delightful gourmet experience in Puerto Portals. 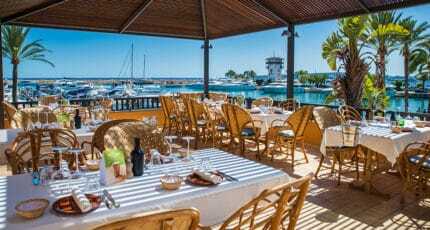 Some excellent restaurants in Puerto Portals include Wellies, Ritzi for upmarket Italian cuisine and Flanigan which is a popular place for lovers of fresh fish. If you are travelling around Mallorca don’t miss our restaurant guide. This is such a popular part of Mallorca that there are several quite spectacular hotels within easy reach of the port. Our guide will help you to select the best available. Portals Hills Boutique Hotel now open! The new Portals Hills Hotel & Residence proudly opened its doors in May 2015 offering ‘Miami meets Mallorca’ experience. We predict this is going to be the hotspot for summer 2015. […] Portals Hills Boutique Hotel now open! There are many events in Puerto Portals, most of which revolve around the motoring and boating calendar. There are also regular charity events which are well-supported by local and international residents. Puerto Portals is considered one of the most exclusive areas of Mallorca and is very popular. Most of the properties in the immediate vicinity of the port are apartments so families tend to opt for properties closer to the adjacent village of Portals Nous. 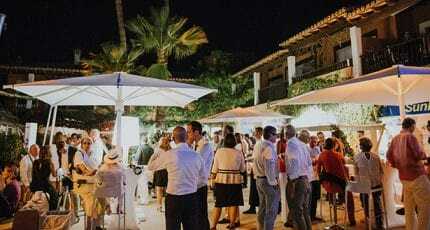 The community in Puerto Portals is very international, so much so that it easy to forget that you are in Spain! Only the blue skies and gentle Mediterranean are there to remind you. Property prices vary depending on how close they are to the frontline. A sea view apartment will cost from 500,000 euros for something small, to penthouses at over 1 million euros. Seafront villas cost from 1.5 million euros upwards – but larger villas tend to be more available in Portals Nous. Smaller units in the back streets are available from around 300,000 euros. The village of Portals Nous is a short drive away and here you’ll find a wider range of shops, including a well-stocked local supermarket. There are hairstyling and beauty salons, a shop selling second-hand books, cafés and restaurants, real estate agents, gift shops, and more. 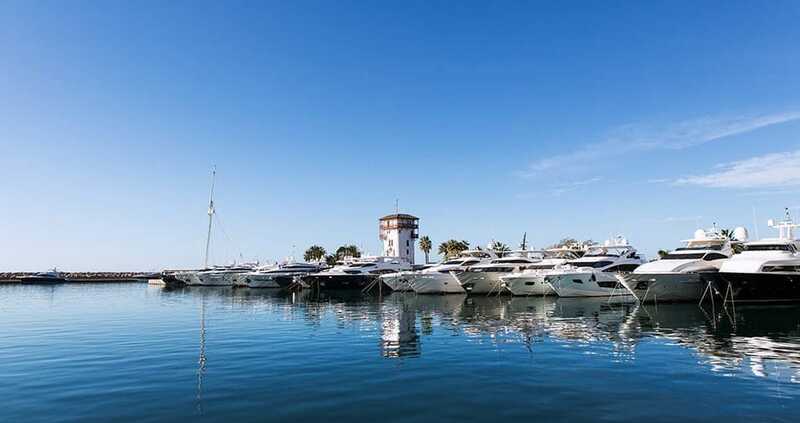 You don’t need the bank balance of someone who moors their super-yacht in Puerto Portals marina to shop in the village! The beach resort of Illetes is also close by as is the exclusive golf resort of Bendinat. Palma de Mallorca is only 10 minutes by car. 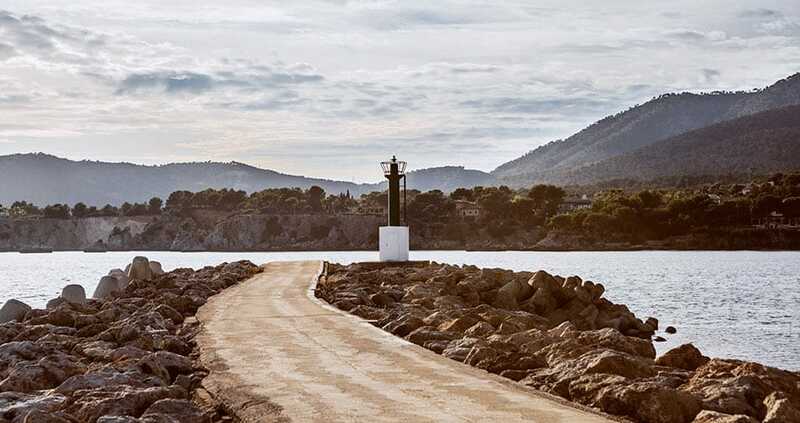 We hope you have found this article about the Puerto Portals useful and that you have many memorable stays in Mallorca as a result of our recommendations.